Welcome back. Our little friend Tintin is still in UK chasing Mr Muller. He had taken a lift in a caravan drawn by a Triumph Herald. 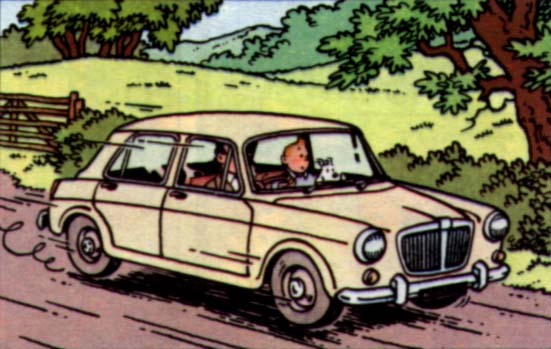 However, as luck would have, the linkage broke and Tintin found himself being ticketed by a cop for bathing in a no-swimming pond. Notwithstanding, our brave friend hailed another cream coloured car and followed the goons. 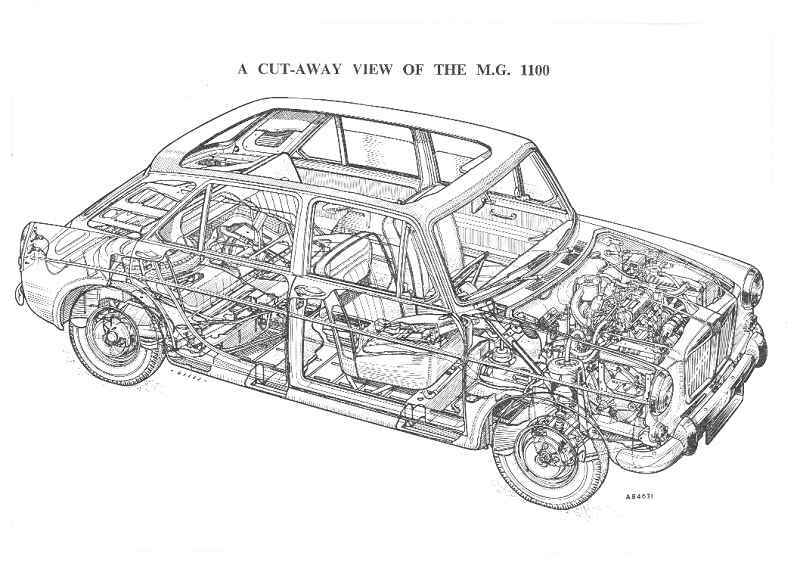 This was an MG 1100. This car was manufactured by British Motor Corporation (BMC) later British Leyland from 1963 to 1974 under the ADO16 project. 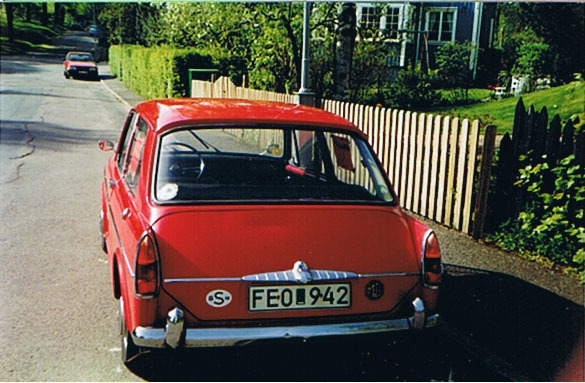 This car was a bigger sister to the BMC Mini and shared many parts with the iconic car. This design was manufactured by a number of brands and sold as re-badged cars. 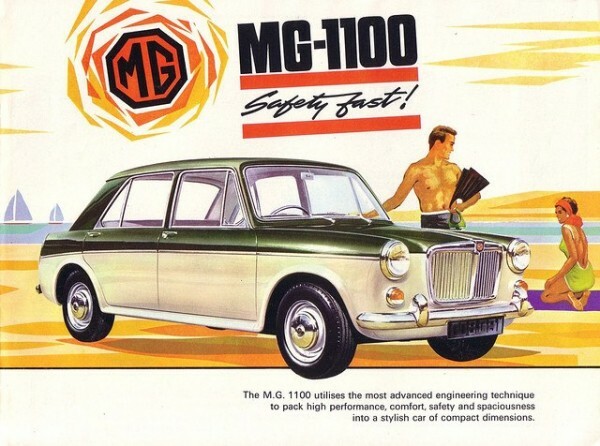 Cars under this project were badged as Austin, Innocenti, MG, Morris, Riley, Vanden Plas and Wolseley. In addition to UK, these cars were manufactured in Spain, Italy, Belgium, Australia and South Africa. 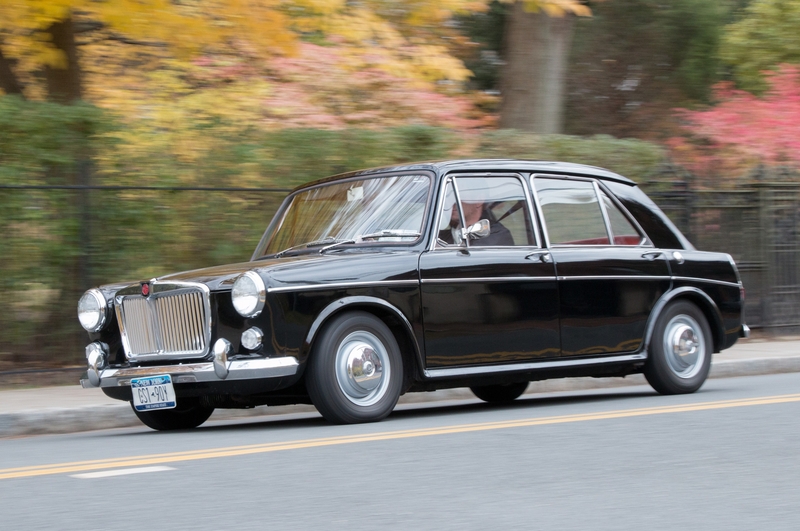 In 1964, the 1100 was the “The Car of the Year” for Wheels Magazine. 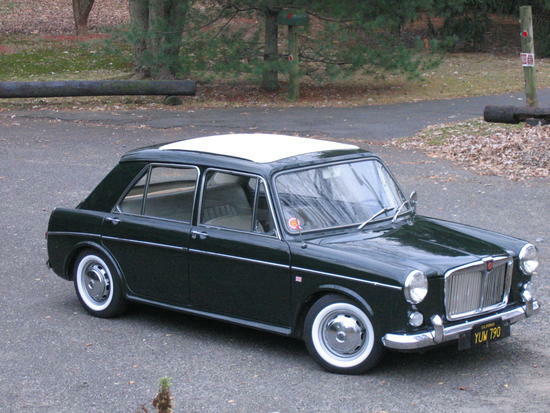 These cars were designed by Alec Issigonis, the designer of Mini. Idea was to offer a larger and more sophisticated car which incorporated more advanced features and innovations. 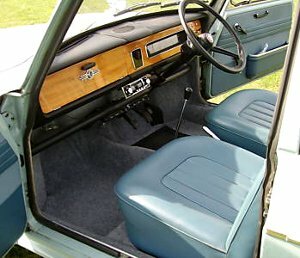 It was designed around the same BMC A-series engine found in the Mini. Initially the car was offered as a four door saloon, but two door saloons and three door station wagons followed soon. These were light cars, weighing just around 832 Kgs powered by small 1100 and 1300 cc front mounted engines driving the front wheels. The inline four cylinder 1,098 cc petrol engines produced 55 BHP at 5,500 rpm, giving a power to weight ratio of 66 BHP/ ton. The 83 N-m twist produced by these engines were transmitted to the driving wheels through a four speed gear box. In 1968, in the cars named as Mark II of their respective models, along with the 1100 cc engine, four cylinder inline 1,275 cc engine was introduced . This engine was capable of generating 65 BHP at 6,000 rpm. The bigger engine increased the weight slightly to 853 kg. These cars had a power to weight ratio of 76 BHP/ ton which is comparable to most of the modern cars. 98 N-m of torque was produced at 3,000 rpm and was transferred to the front wheels using a four speed gear box. Suspension comprised a “Hydrolastic” interconnected fluid suspension system. This system consisted of canister at each wheel which were connected through tubes. It was filled with a mixture of water and alcohol which was forced from one canister to the other as the road levels changed. As a result the opposing corners were either raised or lowered in response to the road surface keeping the car level at all times. This system was designed by Alex Moulton and was inspired by a similarly, but mechanically interconnected suspension of the Citroen 2 CV. Advantage of this system was that in addition to keeping the car level at all times, it also provided the stiffness that lacked in the Citroen. This stiffness improved the handling immensely. Stopping power was provided by disc brakes at the front and drums at rear.